Earlier today, virtually the entire internet came to a stop when the news broke that deeply influential and undeniably iconic musician Prince had died. 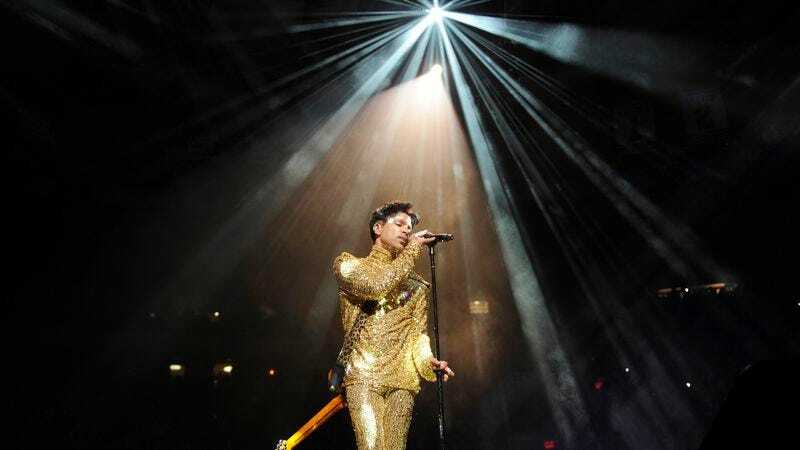 Everyone took to the internet, water coolers, and probably even street corners to try and put into words what Prince meant to them and to the world of music in general, with President Obama releasing a statement that referred to him as “one of the most gifted and prolific musicians of our time.” For the people who knew Prince—whether they ever really met him or not—his death has made an unsurprisingly huge impact. My assessment is that he learned early on how little value to assign to someone else’s opinion of you…an infectious sentiment that seemed soaked into his clothes, his hair, his walk, his guitar, and his primal scream. He wrote my favorite song of all time, “When You Were Mine.” It’s a simple song with a simple melody that makes you wish you thought of it first, even though you never would have—a flirtatious brand of genius that feels approachable. He was a straight black man who played his first televised set in bikini bottoms and knee high heeled boots, epic. He made me feel more comfortable with how I identify sexually simply by his display of freedom from and irreverence for obviously archaic ideas like gender conformity etc. He moved me to be more daring and intuitive with my own work by his demonstration—his denial of the prevailing model…his fight for his intellectual property—”slave” written across the forehead, name changed to a symbol…an all out rebellion against exploitation. A vanguard and genius by every metric I know of who affected many in a way that will outrun oblivion for a long while. I’m proud to be a Prince fan(stan) for life.